Tiany Kirilove for Vero Moda and the 25 Years Kipling Party. As some of you may have read on Twitter - or are a big fan of Gossip Girl - I decided to base my outfit on my beloved Blair Waldorf. She's my favorite character on the show. I wanted to wear a headband with a big bow to make it 100 % Blair proof, but being the organized person that I am, I can't find it anymore. I gotta run now - such a busy day, but I'm loving it - so I leave you with a few shots I took in 2 minutes time. I'll show you pictures of the events, of course. Can't wait to see all of my blogger friends again. It's been too long! 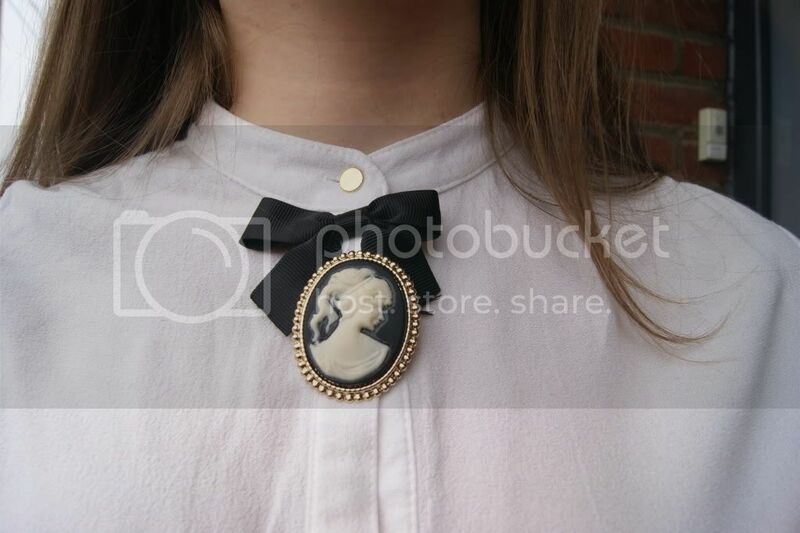 oooh very cute, prachtige broche! Great outfit - I love the details - the broach, bag and bracelet! En wat leuk dat je naar die events mag gaan ! Have fun !! very blair and very lovely. Blair would totally wear this! Very cute and stylish outfit :). Love the bracelet and the brooch :). This is such an adorable and classy touch, definitely blair waldorf material! Lovely outfit! I will now following your blog hope you visit mine and follow back.